WASHINGTON (BP) – Two Southern Baptists – one a U.S. senator and the other a convention entity head – said on Religious Freedom Day the idea of “separation of church and state” entails freedom – rather than limitations – to Americans in the practice of their faith. Sen. James Lankford, R-Okla., and Russell Moore, president of the Ethics & Religious Liberty Commission, co-wrote “The Real Meaning of the Separation of Church and State” for the celebration Jan. 16 of the country’s heritage of religious freedom. Time magazine published the article online. In their article, Lankford and Moore said people sometimes have used “separation of church and state” to mean religious faith should not be brought into the public square. Congress established Religious Freedom Day on Jan. 16 because the Virginia General Assembly approved the Statute for Religious Freedom on that date in 1786. The law, written by Thomas Jefferson, is considered the forerunner of the First Amendment’s establishment of religion and free exercise of religion clauses. Lankford and Moore cited recent Supreme Court opinions that have affirmed this understanding of the First Amendment. 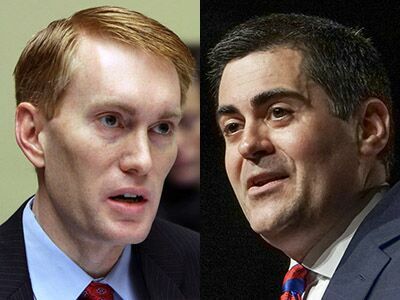 Those opinions affirmed “separation of church and state,” Lankford and Moore wrote.